This is a repost of Joe Bendel's review from when the film played Los Angeles earlier this year. Technically, it is not fake news. CNN Travel called this abandoned Korean mental hospital one of the “7 freakiest places on Earth,” but they never explicitly claimed it is actually haunted (notable for Korean film fans, Battleship Island also made the list). There is no question the place is creepy, so it rather makes sense for a paranormal investigating web series to film an episode there. 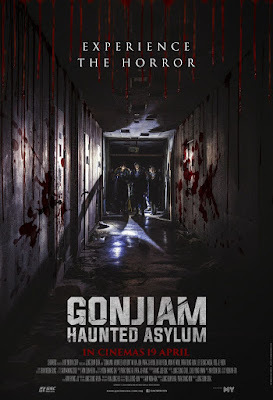 Horror fans know they are probably filming their final show in Jung Bum-sik’s Gonjiam: Haunted Asylum (trailer here), which plays Fantasia today. 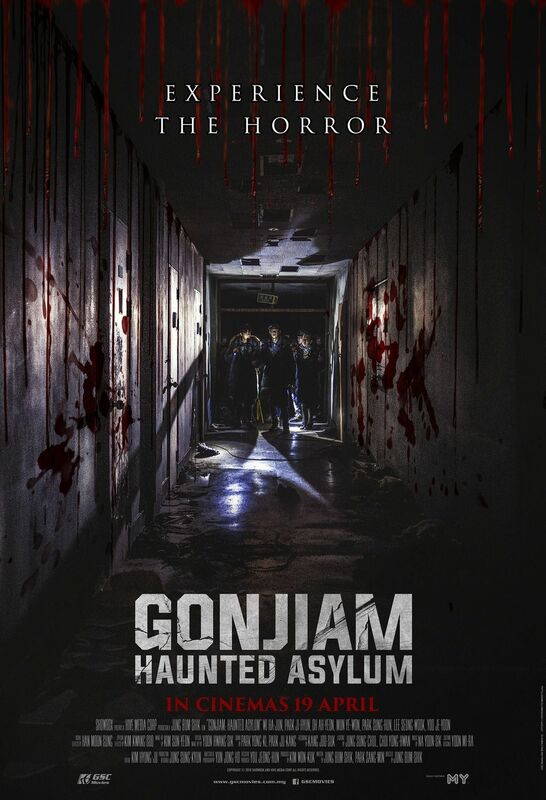 The title pretty much says it all: Gonjiam is an asylum that is haunted—especially room 402. Reportedly, people have died trying to open this mysterious locked chamber. Naturally, that is what the producer of Horror Times has planned for their ill-conceived grand finale. Determined to reach one million viewers, the Horror Times boys have a couple of planned scares to throw at their four “lucky guests” chosen from a pool of fans. Not surprisingly, they selected three cute girls and a socially awkward guy. However, the two on-camera hosts will be screaming like little babies when things get real. Basically, Gonjiam does exactly what the original Grave Encounters and Hollow Grove did, but somehow it is even eerier in Korean. Jung and co-writer Park Sang-min also manage to flesh out the characters to a greater extent than you see in most found footage horror films, at least with respect to their fan-guests (whereas the Horror Times crew are just bad karma-generating jerks). Moon Ye-won and Oh Ah-yeon are particularly notable as the rich, hip, and terrified Charlotte and the naïve but comparatively grounded Ah-yeon, respectively. Jung skillfully builds the tension with small but unsettling bits of business, like doors ominously opening and candles extinguishing themselves. He also exploits the absolutely terrifying setting for all its worth (it is hard to believe the real Gonjiam was operational until 1996, because the movie analog looks like it has been moldering since the 1960s). As in franchising, location is often everything for horror films—and this one is profoundly malevolent looking.